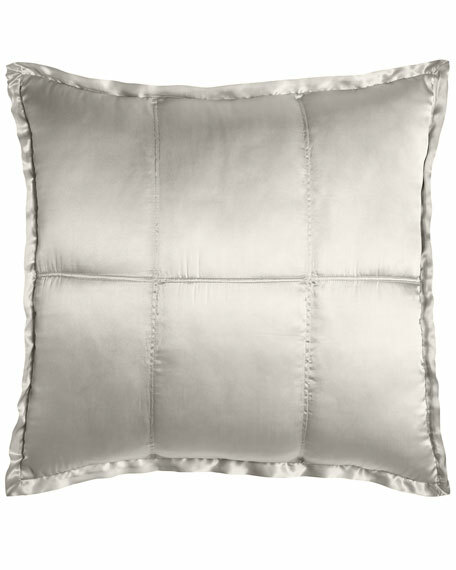 Donna Karan Home Clear Lacquer Print Leather Pillow, 16"Sq. 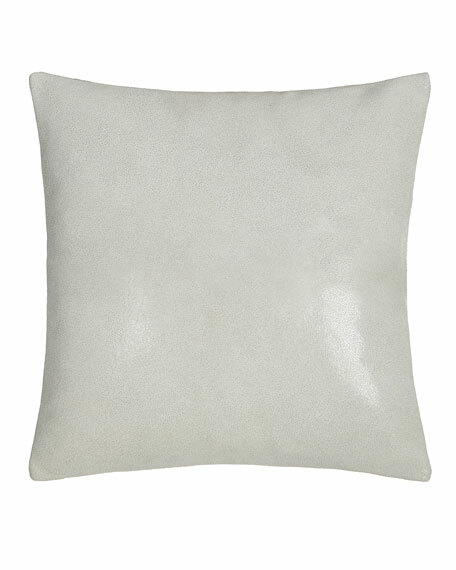 Leather-front pillow has clear lacquer print. 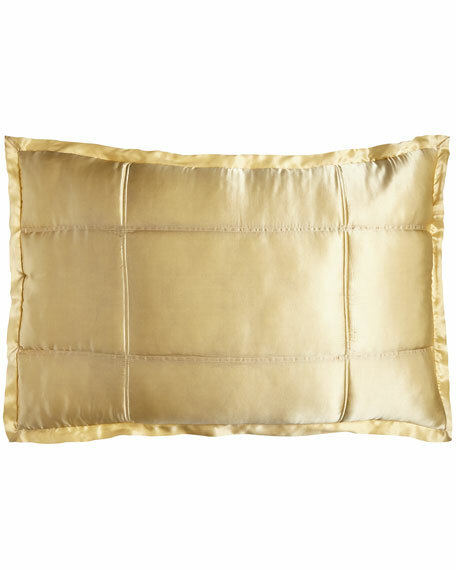 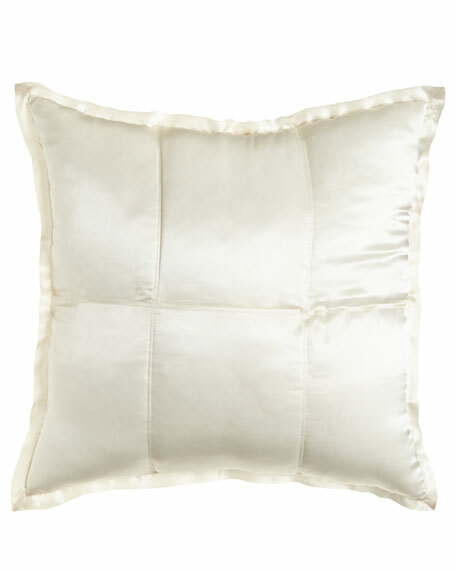 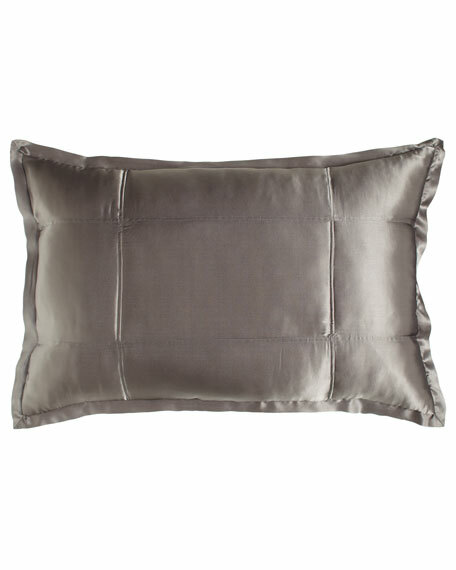 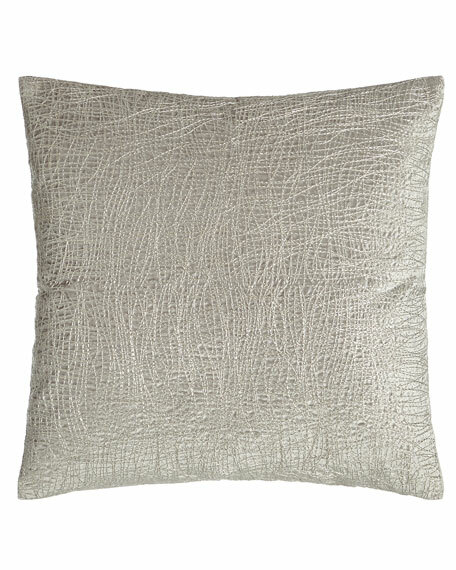 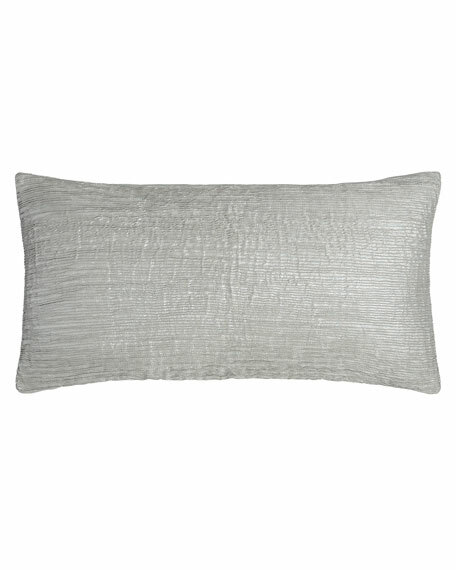 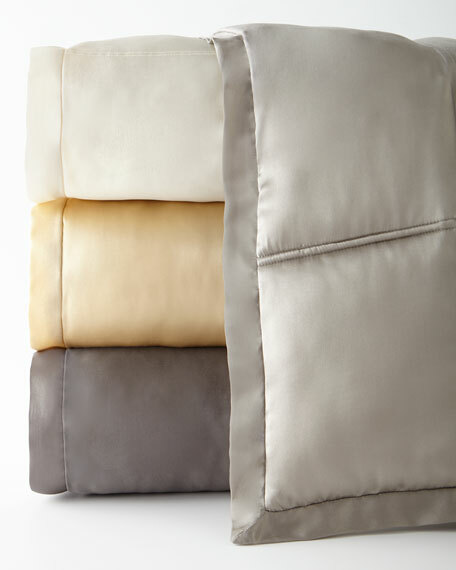 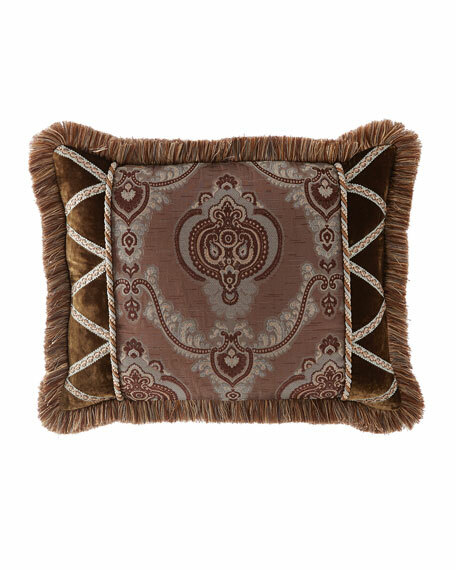 Donna Karan Home Metallic Embroidered Velvet Pillow, 18"Sq. 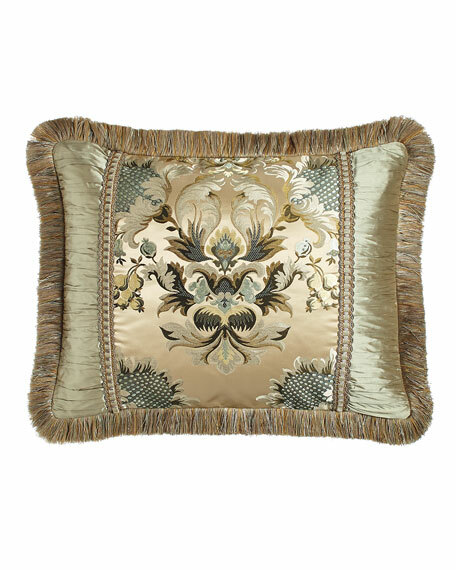 Velvet pillow with metallic embroidery. 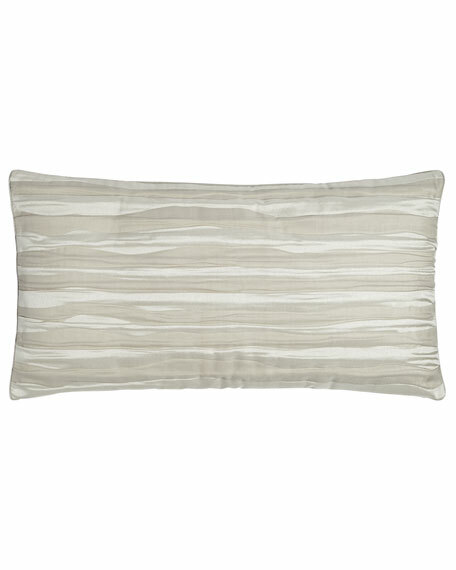 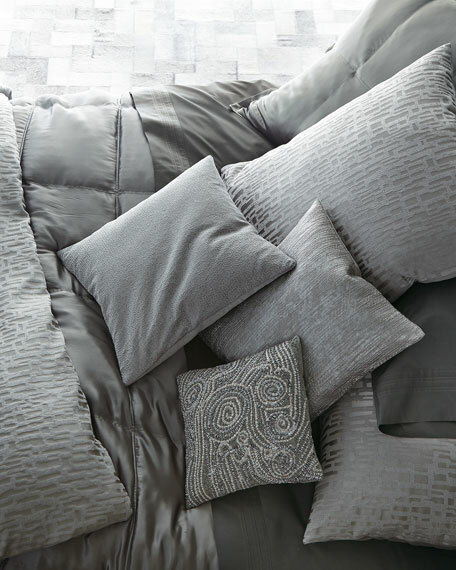 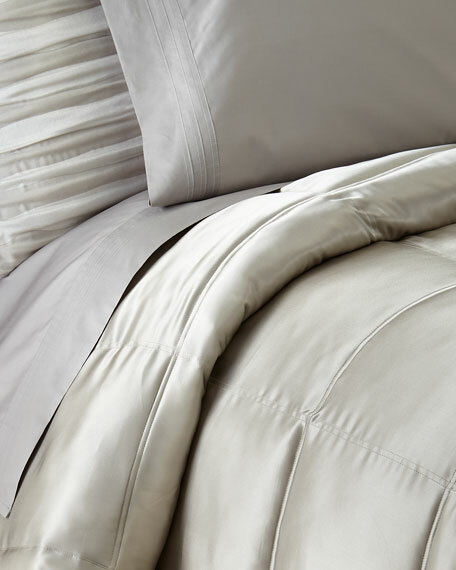 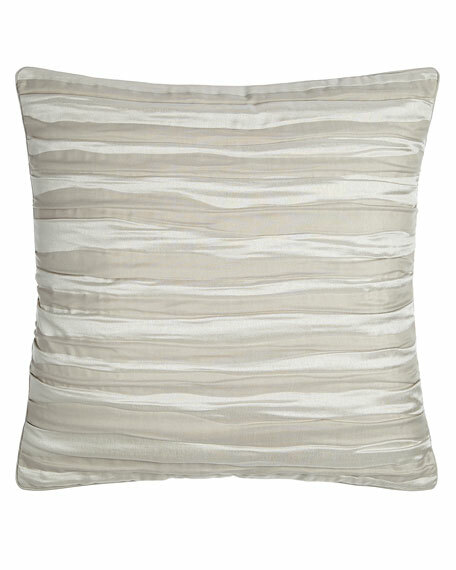 Donna Karan Home Metallic-Print Pleated Pillow, 11" x 22"
Pleated pillow with metallic print. 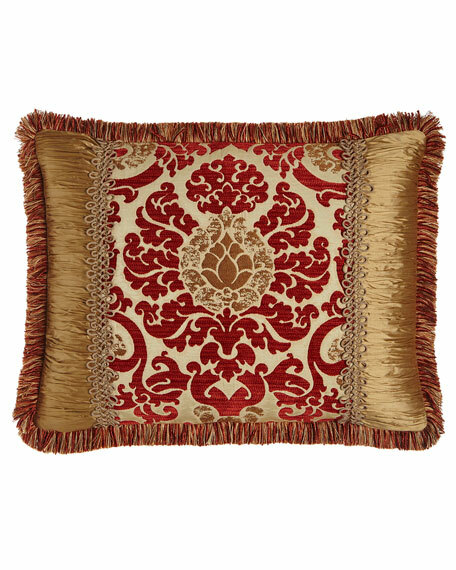 Sham has cotton velvet front and cotton back.Cotton fill.Machine wash.20" x 26".Imported. 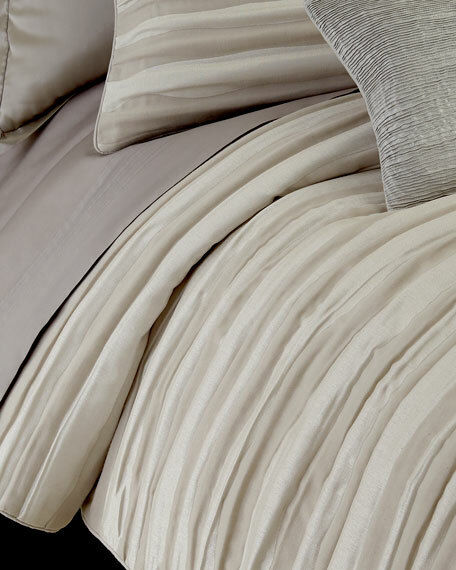 Chenille jacquard center woven of rayon/polyester/cotton.Ruched silk sides and silk back.Finished with loop fringe.20" x 36".Dry clean.Made in the USA of domestic and imported materials.